Taking care of your teeth and gums is important to living a healthy, fulfilling life. 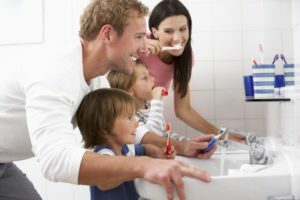 With that in mind, here are 10 lifetime dental habits to teach your kids, brought to you by a children’s dentist in Arnold. These guidelines can help your children to grow up with bright smiles on their faces. Every time you visit the dentist and you hear him scraping away at your teeth, that’s because there are layers of dental plaque built up on the surface of your enamel and deep inside the pockets of your gums. However, routine dental cleanings are only one part of the oral care puzzle. The best way to prevent cavities and gum disease is to practice daily oral care, according to your dentist in Arnold. Dentist in Arnold Shares the Best Way to Floss: Every Day! Just because you brush your teeth every day, doesn’t mean that your smile is in it’s best condition. In fact, it’s health could be declining because you’re forgetting (or intentionally ignoring) this crucial step in your dental hygiene routine: flossing! Your dentist in Arnold is here to explain why flossing is so important to maintaining your smile in this week’s blog post. Keep reading to learn more about the correct techniques! Comments Off on Dentist in Arnold Shares the Best Way to Floss: Every Day! True or False: Dental Implants in Arnold Help Osteoporosis? When you’re looking to replace your teeth, you have to consider a few different things. How will my existing conditions affect my replacement teeth? Can I improve my current health with replacement teeth? Which restorative option will provide the longest lasting results? If you’re looking for the best dental restoration for tooth loss, dental implants in Arnold are hands-down the best option. They provide a solution with proven longevity and even improve the current state of your mouth and body. 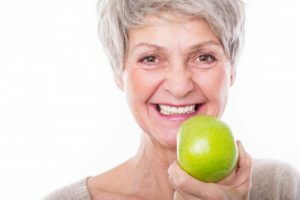 Learn more about the benefits of dental implants and how they can help improve your well-being in this week’s blog post. Comments Off on True or False: Dental Implants in Arnold Help Osteoporosis? How Can a Dentist in Arnold Help Repair a Decayed Tooth? You might have initially thought your sensitive teeth wasn’t something to worry about—well, until you had your last dental visit. 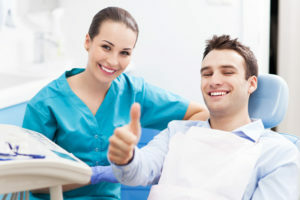 After finally receiving the dental exam you’ve been needing, your dentist in Arnold was able to spot a dark spot in your smile. That’s right…a dreaded cavity. If you’re unsure of what to do next, this post is for you. We’re going to explain a little about cavities and the best way to treat them to repair your smile’s health. Comments Off on How Can a Dentist in Arnold Help Repair a Decayed Tooth? Wondering if You Should See an Emergency Dentist in Arnold? It’s Saturday afternoon and you’re enjoying your weekend with your family. As usual, you’ve taken your kids to the park after lunch to play on the playground, which is one of their favorite things to do. All of the sudden you hear a terrible cracking noise, followed by the unmistakable sound of your child crying. When you run over you see that they’ve fallen and broken their front tooth – a permanent one! As you frantically scoop them up along with the broken piece of tooth, you realize that you aren’t quite sure what to do because it’s a Saturday and your dentist’s office is closed. If you’ve ever found yourself in a situation like this and would like to know more in case it ever happens again, not to worry. 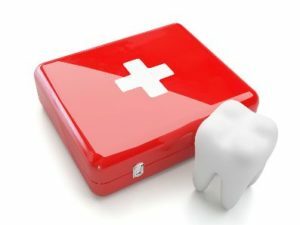 In this blog, we’ll review some common scenarios as well as when to contact your emergency dentist in Arnold. Comments Off on Wondering if You Should See an Emergency Dentist in Arnold? Can Your Kid’s Dentist Help Your Child with Teeth Whitening? Does your child or teen complain about the brightness of their teeth—or lack thereof? 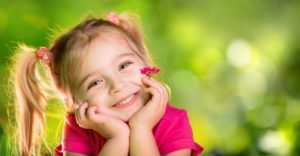 It can be difficult to decide whether or not to invest in whitening products for your child if you don’t have all the information you need to make an informed decision. Plus, you would like to explore teeth whitening from a professional as well. 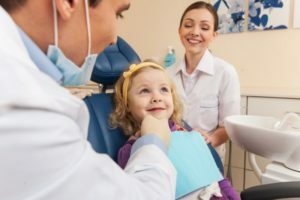 Well, if you want to help your child achieve their smile goals, your kid’s dentist is here to set the record straight about teeth whitening for children’s smiles. 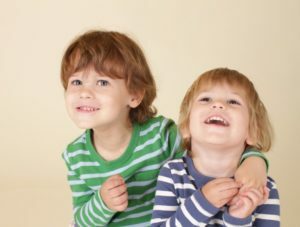 Comments Off on Can Your Kid’s Dentist Help Your Child with Teeth Whitening? As a parent, you are always concerned with protecting your children. And when it comes to their oral health, you want to make sure that their mouth, teeth and gums will be strong and well throughout the rest of their lives. So you feel that it’s your responsibility to help them form healthy practices as best you can. That’s why your children’s dentist is suggesting that you pay close attention to the risks for gum disease that your kids face. Read on to learn more about this condition and how to avoid it. To say that time flies by is truly an understatement because you still remember the day your child was born, like it was yesterday. You remember the hurried movement throughout the house when the labor pains increased, and the contractions got closer. Then it was off to the hospital for delivery. After hours of toil, your little bundle of joy entered the world. But now you find yourself three years removed from those precious moments, and it’s time to take your child to his or her first dental visit. Before you go, though, your children’s dentist wants to give you a few helpful tips. As a parent, one of your primary concerns is protecting your children at all costs. That’s why you’re constantly looking to broaden your bank of knowledge. You want the best information available to guide their wellness. So when it comes to fluoride treatments, one of the hot-button topics that deals with the health of your children, you want more clarity. 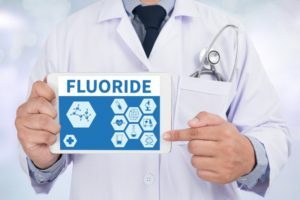 There is spirited debate over whether it is safe for your their consumption, so your local dentist has decided to weigh in to help you make the best decision for your family.